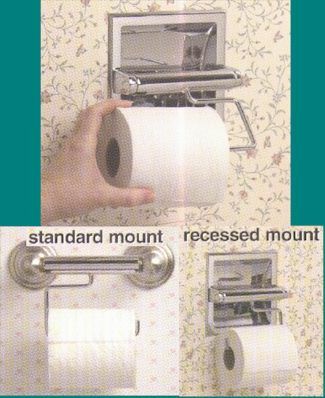 A great item that takes the hassle out of changing the bath tissue roll. Fits all spring type dispensers; both recessed and standard mount. Install once, no tools needed, and in seconds changing the tissue roll will be as easy as pie. Never struggle with the spring loaded tube again. Great for smaller children and the elderly.